We are incredibly lucky to have champions and partners who help us improve our program offerings, support us in reaching more people, and provide us with resources to empower more social entrepreneurs to grow their business and scale their impact. MBC is a non-profit business association duly organized under the laws of the Republic of the Philippines and committed to acting as a forum for constructive ideas to address the socio-economic issues of the Philippines. Smarter Good provides strategic fundraising, finance, and organizational support services for social sector organizations. Smarter Good helps clients implement sustainable and structured systems, while expertly handling their day-to-day tasks so they can focus on running their programs. xchange is an incubator for early-stage impact driven enterprises in the Philippines. Their mission is to multiply the change that these enterprises achieve by helping them reach sustainability and scale in the shortest amount of time possible. Ashoka is the pioneer in establishing the field of social entrepreneurship. With over 3,500 fellows from 93 countries, it is the largest professional network of social innovators in the world. Ashoka is helping accelerate social change through its global community of changemakers from across causes, disciplines, sectors, and borders. Launchgarage is a tech innovation hub in Manila that provides a venue for open collaboration, knowledge sharing, events, acceleration. The Leading Coworking Space in Manila and Cebu, ASPACE caters to innovators across the country. ASPACE has more coworking spaces than all other coworking spaces in Manila combined — in Makati, Taguig (BGC), and Cebu. 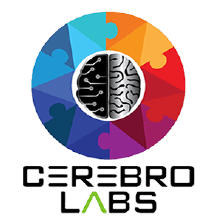 Cerebro Labs is a tech business incubator and accelerator for pre-seed and early stage startups across all verticals. They help startups create disruptive value proposition, innovate business models, and accelerate business growth through an array of business support services. QBO (‘ku-bo’) is an innovation hub, or a platform for the startup community to collaborate, develop talent, and grow. It is the country’s first public-private initiative for startups, created through a partnership between IdeaSpace, J.P. Morgan, DOST, and DTI.